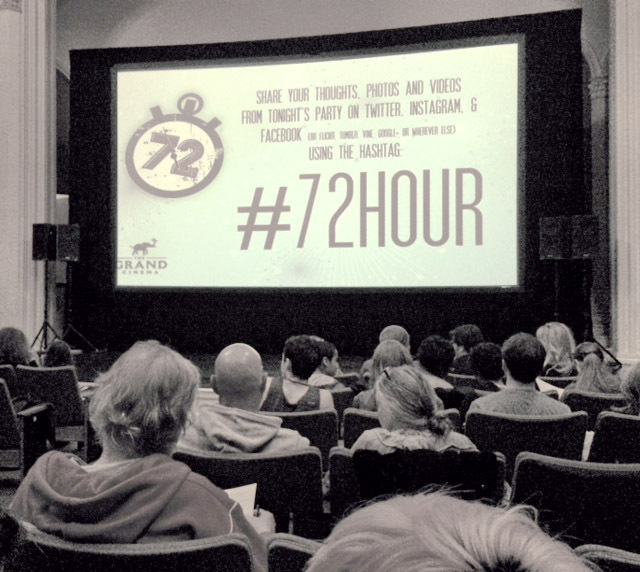 The Grand Cinema’s 72 Hour Film Competition viewing party. Photo by Dane Gregory Meyer. What a fabulous city we live in! I’ve realized this all along, except when it’s been raining for a month and a half. We live in a city with The Grand Cinema, a non-profit organization which fosters such community sharing as the ’72 Hour Film Competition’. Last Friday night was the annual viewing party, a public event which gathered 26 film makers, their films, and an audience in excess of 400, to revel and celebrate at Urban Grace. Each film making participant had to write, shoot, score and edit their short film in just 72 hours. And, they were required to include four specific elements including a count down, duct tape, and a particular line and product placement. The end results were 26 completely unique views into the psyche of our community. What impressed me most was how non-stodgy it was, how non-big-city. There were the impressive high-quality films with cinematography skill, lighting, and obvious acting experience but there were also the quirky home spun films. All were welcomed and strongly applauded. The Grand Cinema provided an inclusive environment for film makers to showcase their creativity and our community stepped up with enthusiasm. I would strongly suggest noting your calendar for next year’s ‘72 Hour Film Competition’ and keeping your attention on what The Grand Cinema has coming up. Join The Grand Cinema and Tacoma Symphony Orchestra for a celebration of music and cinema. 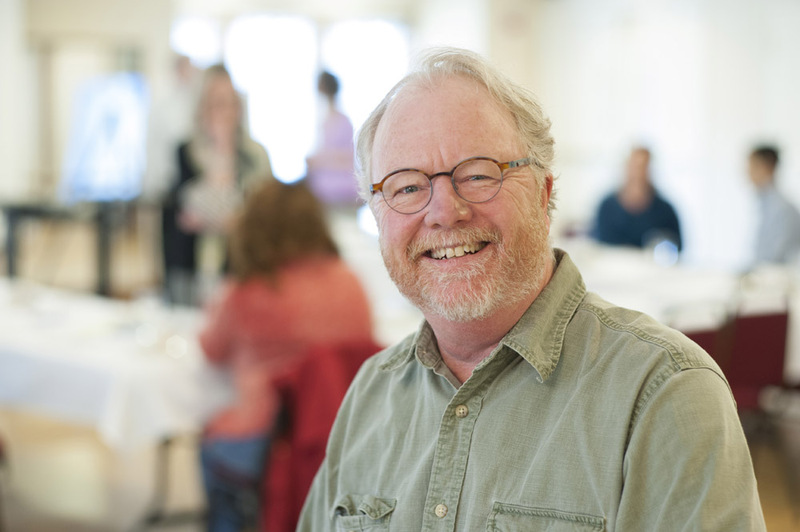 Narrated by NWPR’s Steve Reeder, the concert will feature the Tacoma Symphony Orchestra’s string nonet as well as local singer-songwriters performing iconic songs and scores from throughout film history. The Tacoma Arts Commission is proud to support both The Grand Cinema and Tacoma Symphony Orchestra through the Arts Anchor Fund.